The armed conflict between the Government of Sierra Leone and the RUF/SL is hereby ended with immediate effect. Accordingly, the two sides shall ensure that a total and permanent cessation of hostilities is observed forthwith. 1. A Cease-fire Monitoring Committee (hereinafter termed the CMC) to be chaired by the United Nations Observer Mission in Sierra Leone (hereinafter termed UNOMSIL) with representatives of the Government of Sierra Leone, RUF/SL, the Civil Defence Forces (hereinafter termed the CDF) and ECOMOG shall be established at provincial and district levels with immediate effect to monitor, verify and report all violations of the cease-fire. 2. A Joint Monitoring Commission (hereinafter termed the JMC) shall be established at the national level to be chaired by UNOMSIL with representatives of the Government of Sierra Leone, RUF/SL, CDF, and ECOMOG. The JMC shall receive, investigate and take appropriate action on reports of violations of the cease-fire from the CMC. The parties agree to the definition of cease-fire violations as contained in Annex 2 which constitutes an integral part of the present Agreement. The Government of Sierra Leone and the RUF/SL, recognizing the right of the people of Sierra Leone to live in peace, and desirous of finding a transitional mechanism to incorporate the RUF/SL into governance within the spirit and letter of the Constitution, agree to the following formulas for structuring the government for the duration of the period before the next elections, as prescribed by the Constitution, managing scarce public resources for the benefit of the development of the people of Sierra Leone and sharing the responsibility of implementing the peace. Each of these formulas (not in priority order) is contained in a separate Article of this Part of the present Agreement; and may be further detailed in protocols annexed to it. Article VIII Council of Elders and Religious Leaders. 2. Immediately upon the signing of the present Agreement, the RUF/SL shall commence to organize itself to function as a political movement, with the rights, privileges and duties accorded to all political parties in Sierra Leone. These include the freedom to publish, unhindered access to the media, freedom of association, freedom of expression, freedom of assembly, and the right to mobilize and associate freely. 3. Within a period of thirty days, following the signing of the present Agreement, the necessary legal steps shall be taken by the Government of Sierra Leone to enable the RUF/SL to register as a political party. (iii) Providing any other assistance necessary for achieving the goals of this section. 1. The Government of Sierra Leone shall take the necessary steps to enable those RUF/SL members nominated by the RUF/SL to hold public office, within the time-frames agreed and contained in the present Agreement for the integration of the various bodies named herein. 2. Accordingly, necessary legal steps shall be taken by the Government of Sierra Leone, within a period of fourteen days following the signing of the present Agreement, to amend relevant laws and regulations that may constitute an impediment or bar to RUF/SL and AFRC personnel holding public office. 3. Within seven days of the removal of any such legal impediments, both parties shall meet to discuss and agree on the appointment of RUF/SL members to positions in parastatals, diplomacy and any other public sector. 2. The Chairmanship of the Board of the Commission for the Management of Strategic Resources, National Reconstruction and Development (CMRRD) as provided for in Article VII of the present Agreement shall be offered to the leader of the RUF/SL, Corporal Foday Sankoh. For this purpose he shall enjoy the status of Vice President and shall therefore be answerable only to the President of Sierra Leone. (ii) Three other cabinet positions. 4. In addition, the Government of Sierra Leone shall, in the same spirit, make available to the RUF/SL the following senior government positions: Four posts of Deputy Minister. 5. Within a period of fourteen days following the signing of the present Agreement, the necessary steps shall be taken by the Government of Sierra Leone to remove any legal impediments that may prevent RUF/SL members from holding cabinet and other positions. 1. A Commission for the Consolidation of Peace (hereinafter termed the CCP), shall be established within two weeks of the signing of the present Agreement to implement a post-conflict programme that ensures reconciliation and the welfare of al parties to the conflict, especially the victims of war. The CCP shall have the overall goal and responsibility for supervising and monitoring the implementation of and compliance with the provisions of the present Agreement relative to the promotion of national reconciliation and the consolidation of peace. (ix) the Truth and Reconciliation Commission. 3. The CCP shall have the right to inspect any activity or site connected with the implementation of the present Agreement. 4. The CCP shall have full powers to organize its work in any manner it deems appropriate and to appoint any group or sub-committee which it deems necessary in the discharge of its functions. (ii) One representative each named by the Government, the RUF/SL and the Parliament. 6. The CCP shall have its own offices, adequate communication facilities and secretarial support staff. 9. Should Protocols be needed in furtherance of any provision in the present Agreement, the CCP shall have the responsibility for their preparation. 10. The mandate of the CCP shall terminate at the end of the next general elections. 1. Given the emergency situation facing the country, the parties agree that the Government shall exercise full control over the exploitation of gold, diamonds and other resources, for the benefit of the people of Sierra Leone. Accordingly, a Commission for the Management of Strategic Resources, National Reconstruction and Development (hereinafter termed the CMRRD) shall be established and charged with the responsibility of securing and monitoring the legitimate exploitation of Sierra Leoneâ€™s gold and diamonds, and other resources that are determined to be of strategic importance for national security and welfare as well as cater for post-war rehabilitation and reconstruction, as provided for under Article XXVIII of the present Agreement. 2. The Government shall take the necessary legal action within a period not exceeding two weeks from the signing of the present Agreement to the effect that all exploitation, sale, export, or any other transaction of gold and diamonds shall be forbidden except those sanctioned by the CMRRD. All previous concessions shall be null and void. 3. The CMRRD shall authorize licensing of artisanal production of diamonds and gold, in accordance with prevailing laws and regulations. All gold and diamonds extracted or otherwise sources from any Sierra Leonean territory shall be sold to the Government. 4. The CMRRD shall ensure, through the appropriate authorities, the security of the areas covered under this Article, and shall take all necessary measures against unauthorized exploitation. 5. For the export or local resale of gold and diamonds by the Government, the CMRRD shall authorize a buying and selling agreement with one or more reputable international and specialized mineral companies. All exports of Sierra Leonean gold and diamonds shall be transacted by the Government, under these agreements. 6. 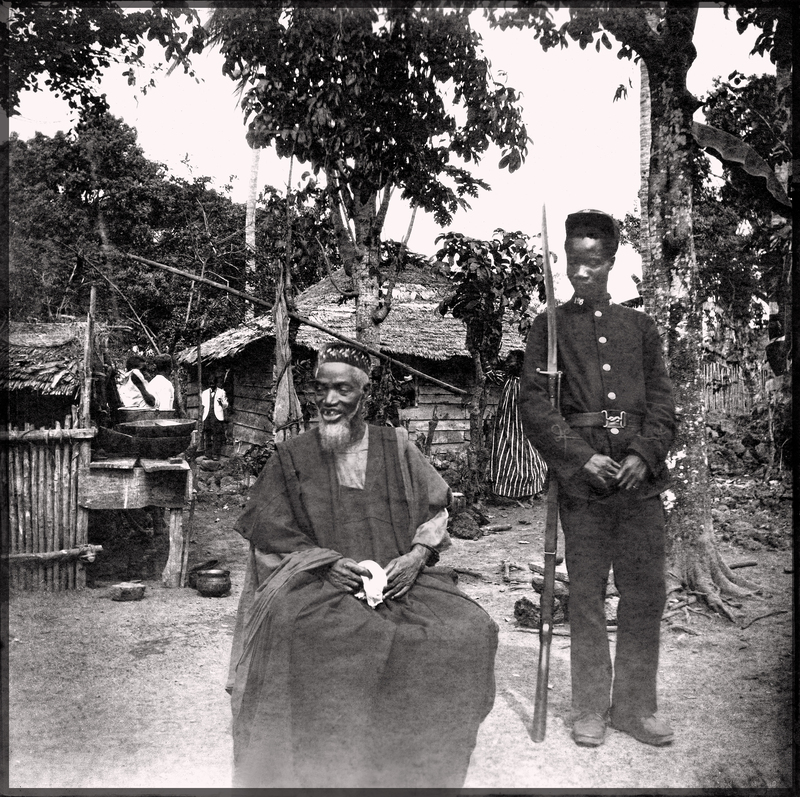 The proceeds from the transactions of gold and diamonds shall be public monies which shall enter a special Treasury account to be spent exclusively on the development of the people of Sierra Leone, with appropriations for public education, public health, infrastructural development, and compensation for incapacitated war victims as well as post-war rehabilitation and reconstruction. Priority spending shall go to rural areas. 7. The Government shall, if necessary, seek the assistance and cooperation of other governments and their instruments of law enforcement to detect and facilitate the prosecution of violations of this Article. 8. The management of other natural resources shall be reviewed by the CMRRD to determine if their regulation is a matter of national security and welfare, and recommend appropriate policy to the Government. 9. The functions of the Ministry of Mines shall continued to be carried out by the current authorized ministry. However, in respect of strategic mineral resources, the CMRRD shall be an autonomous body in carrying out its duties concerning the regulation of Sierra Leoneâ€™s strategic natural resources. 10. All agreements and transactions referred to in this Article shall be subject to full public disclosure and records of all correspondence, negotiations, business transactions and any other matters related to exploitation, management, local or international marketing, and any other matter shall be public documents. 11. The Commission shall issue monthly reports, including the details of all the transactions related to gold and diamonds, and other licenses or concessions of natural resources, and its own administrative costs. (iv) Two representatives of other political parties appointed by Parliament. 13. The Government shall take the required administrative actions to implement the commitments made in the present Agreement; and in the case of enabling legislation, it shall draft and submit to Parliament within thirty days of the signature of the present Agreement, the relevant bills for their enactment into law. (iii) One member appointed by ECOWAS. 2. The Council shall designate its own chairperson from among its members. All of its decision shall be taken by the concurrence of at least four members, and shall be binding and public, provided that an aggrieved party may appeal to the Supreme Court. 3. To consolidate the peace and promote the cause of national reconciliation, the Government of Sierra Leone shall ensure that no official or judicial action is taken against any member of the RUF/SL, ex-AFRC, ex-SLA or CDF in respect of anything done by them in pursuit of their objectives as members of those organisations, since March 1991, up to the time of the signing of the present Agreement. In addition, legislative and other measures necessary to guarantee immunity to former combatants, exiles and other persons, currently outside the country for reasons related to the armed conflict shall be adopted ensuring the full exercise of their civil and political rights, with a view to their reintegration within a framework of full legality. In order to ensure that the Constitution of Sierra Leone represents the needs and aspirations of the people of Sierra Leone and that no constitutional or any other legal provision prevents the implementation of the present Agreement, the Government of Sierra Leone shall take the necessary steps to establish a Constitutional Review Committee to review the provisions of the present Constitution, and where deemed appropriate, recommend revisions and amendments, in accordance with Part V, Section 108 of the Constitution of 1991. The next national elections in Sierra Leone shall beheld in accordance with the present Constitution of Sierra Leone. 1. A new independent National Electoral Commission (hereinafter termed the NEC) shall be set up by the Government, not later than three months after the signing of the present Agreement. 2. In setting up the new NEC the President shall consult all political parties, including the RUF/SL, to determine the membership and terms of reference of the Commission, paying particular attention to the need for a level playing field in the nationâ€™s elections. 3. No member of the NEC shall be eligible for appointment to political office by any government formed as a result of an election he or she was mandated to conduct. 4. The NEC shall request the assistance of the International Community, including the UN, the OAU, ECOWAS and the Commonwealth of Nations, in monitoring the next presidential and parliamentary elections in Sierra Leone. 1. The Government of Sierra Leone and the RUF/SL, recognizing that the maintenance of peace and security is of paramount importance for the achievement of lasting peace in Sierra Leone and for the welfare of its people, have agreed to the following formulas for dealing with post-conflict military and security matters. Each of these formulas (not in priority order) is contained in separate Articles of this Part of the present Agreement and may be further detailed in protocols annexed to the Agreement. Article Notification to Military Commands. Protection of Disarmament, Demobilisation and Reintegration personnel. 2. The Government shall, immediately upon the signing of the present Agreement, request ECOWAS for troop contributions from at least two additional countries. The additional contingents shall be deployed not later than 30 days from the date of signature of the present Agreement. The Security Council shall be requested to provide assistance in support of ECOMOG. 3. The Parties agree to develop a timetable for the phased withdrawal of ECOMOG, including measures for securing all of the territory of Sierra Leone by the restructured armed forces. The phased withdrawal of ECOMOG will be linked to the phased creation and deployment of the restructured armed forces. 1. The UN Security Council is requested to amend the mandate of UNOMSIL to enable it to undertake the various provisions outlined in the present Agreement. 1. The Government of Sierra Leone and the RUF/SL agree to guarantee the safety, security and freedom of movement of UNOMSIL Military Observers throughout Sierra Leone. This guarantee shall be monitored by the Joint Monitoring Commission. 2. The freedom of movement includes complete and unhindered access for UNOMSIL Military Observers in the conduct of their duties throughout Sierra Leone. Before and during the process of Disarmament, Demobilization and Reintegration, officers and escorts to be provided by both Parties shall be required to facilitate this access. 3. Such freedom of movement and security shall also be accorded to non-military UNOMSIL personnel such as Human Rights Officers in the conduct of their duties. These personnel shall, in most cases, be accompanied by UNOMSIL Military Observers. 4. The provision of security to be extended shall include United Nations aircraft, vehicles and other property. 1. A neutral peace keeping force comprising UNOMSIL and ECOMOG shall disarm all combatants of the RUF/SL, CDF, SLA and paramilitary groups. The encampment, disarmament and demobilization process shall commence within six weeks of the signing of the present Agreement in line with the deployment of the neutral peace keeping force. 2. The present SLA shall be restricted to the barracks and their arms in the armoury and their ammunitions in the magazines and placed under constant surveillance by the neutral peacekeeping force during the process of disarmament and demobilization. 3. UNOMSIL shall be present in all disarmament and demobilization locations to monitor the process and provide security guarantees to all ex-combatants. 4. Upon the signing of the present Agreement, the Government of Sierra Leone shall immediately request the International Community to assist with the provision of the necessary financial and technical resources needed for the adaptation and extension of the existing Encampment, Disarmament, Demobilization and Reintegration Programme in Sierra Leone, including payment of retirement benefits and other emoluments due to former members of the SLA. 2. Those ex-combatants of the RUF/SL, CDF and SLA who wish to be integrated into the new restructured national armed forces may do so provided they meet established criteria. 3. Recruitment into the armed forces shall reflect the geo-political structure of Sierra Leone within the established strength. All mercenaries, in any guise, shall be withdrawn from Sierra Leone immediately upon the signing of the present Agreement. Their withdrawal shall be supervised by the Joint Monitoring Commission. Immediately upon the establishment of the JMC provided for in Article II of the present Agreement, each party shall furnish to the JMC information regarding the strength and locations of all combatants as well as the positions and descriptions of all known unexploded bombs (UXBs), explosive ordnance devices (EODs), minefields, booby traps, wire entanglements, and all other physical or military hazards. The JMC shall seek all necessary technical assistance in mine clearance and the disposal or destruction of similar devices and weapons under the operational control of the neutral peacekeeping force. The parties shall keep the JMC updated on changes in this information so that it can notify the public as needed, to prevent injuries. Each party shall ensure that the terms of the present Agreement, and written orders requiring compliance, are immediately communicated to all of its forces. As a reaffirmation of their commitment to the observation of the conventions and principles of human rights and the status of refugees, the Parties shall take effective and appropriate measures to ensure that the right of Sierra Leoneans to asylum is fully respected and that no camps or dwellings of refugees or displaced persons are violated. 1. The basic civil and political liberties recognized by the Sierra Leone legal system and contained in the declarations and principles of Human Rights adopted by the UN and OAU, especially the Universal Declaration of Human Rights and the African Charter on Human and Peopleâ€™s Rights, shall be fully protected and promoted within Sierra Leonean society. 2. These include the right to life and liberty, freedom from torture, the right to a fair trial, freedom of conscience, expression and association, and the right to take part in the governance of oneâ€™s country. 1. The Parties pledge to strengthen the existing machinery for addressing grievances of the people in respect of alleged violations of their basic human rights by the creation, as a matter of urgency and not later than 90 days after the signing of the present Agreement, of an autonomous quasi-judicial national Human Rights Commission. 2. The Parties further pledge to promote Human Rights education throughout the various sectors of Sierra Leonean society, including the schools, the media, the police, the military and the religious community. 3. In pursuance of the above, technical and material assistance may be sought from the UN High Commissioner for Human Rights, the African Commission on Human and Peoples Rights and other relevant international organisations. 4. A consortium of local human rights and civil society groups in Sierra Leone shall be encouraged to help monitor human rights observance. 1. A Truth and Reconciliation Commission shall be established to address impunity, break the cycle of violence, provide a forum for both the victims and perpetrators of human rights violations to tell their story, get a clear picture of the past in order to facilitate genuine healing and reconciliation. 2. In the spirit of national reconciliation, the Commission shall deal with the question of human rights violations since the beginning of the Sierra Leonean conflict in 1991. 3. Membership of the Commission shall be drawn from a cross-section of Sierra Leonean society with the participation and some technical support of the International Community. This Commission shall be established within 90 days after the signing of the present Agreement and shall, not later than 12 months after the commencement of its work, submit its report to the Government for immediate implementation of its recommendations. 1. The Parties reaffirm their commitment to their Statement on the Delivery of Humanitarian Assistance in Sierra Leone of June 3, 1999 which is contained in Annex 4 and constitutes an integral part of the present Agreement. To this end, the Government shall request appropriate international humanitarian assistance for the people of Sierra Leone who are in need all over the country. 2. The Parties agree to guarantee safe and unhindered access by all humanitarian organizations throughout the country in order to facilitate delivery of humanitarian assistance, in accordance with international conventions, principles and norms which govern humanitarian operations. In this respect, the parties agree to guarantee the security of the presence and movement of humanitarian personnel. 3. The Parties also agree to guarantee the security of all properties and goods transported, stocked or distributed by humanitarian organizations, as well as the security of their projects and beneficiaries. 4. The Government shall set up at various levels throughout the country, the appropriate and effective administrative or security bodies which will monitor and facilitate the implementation of these guarantees of safety for the personnel, goods and areas of operation of the humanitarian organizations. 1. The Government, through the National Commission for Resettlement, Rehabilitation and Reconstruction and with the support of the International Community, shall provide appropriate financial and technical resources for post-war rehabilitation, reconstruction and development. The Government shall accord particular attention to the issue of child soldiers. It shall, accordingly, mobilize resources, both within the country and from the International Community, and especially through the Office of the UN Special Representative for Children in Armed Conflict, UNICEF and other agencies, to address the special needs of these children in the existing disarmament, demobilization and reintegration processes. The Government shall provide free compulsory education for the first nine years of schooling (Basic Education) and shall endeavour to provide free schooling for a further three years. The Government shall also endeavour to provide affordable primary health care throughout the country. the Consolidation of Peace as provided for in Article VI, the Joint Implementation Committee shall make recommendations deemed necessary to ensure effective implementation of the present Agreement according to the Schedule of Implementation, which appears as Annex 5. The parties request that the provisions of the present Agreement affecting the United Nations shall enter into force upon the adoption by the UN Security Council of a resolution responding affirmatively to the request made in this Agreement. Likewise, the decision-making bodies of the other international organisations concerned are requested to take similar action, where appropriate. The Government of the Togolese Republic, the United Nations, the OAU, ECOWAS and the Commonwealth of Nations shall stand as Moral Guarantors that this Peace Agreement is implemented with integrity and in good faith by both parties. Both parties call on the International Community to assist them in implementing the present Agreement with integrity and good faith. The international organisations mentioned in Article XXXIV and the Governments of Benin, Burkina Faso, CÃ´te d'Ivoire, Ghana, Guinea, Liberia, Libyan Arab Jamahiriya, Mali, Nigeria, Togo, the United Kingdom and the United States of America are facilitating and supporting the conclusion of this Agreement. These States and organisations believe that this Agreement must protect the paramount interests of the people of Sierra Leone in peace and security. The Sierra Leone Government shall register the signed Agreement not later than 15 days from the date of the signing of this Agreement. The signed Agreement shall also be published in the Sierra Leone Gazette not later than 48 (Forty - Eight) hours after the date of registration of this Agreement. This Agreement shall be laid before the Parliament of Sierra Leone not later than 21 (Twenty-One) days after the signing of this Agreement. The present Agreement shall enter into force immediately upon its signing by the Parties. Done in LomÃ© this seven day of the month of July 1999 in twelve (12) original texts in English and French, each text being equally authentic. President Ahmed Tejan KABBAH and Rev. Jesse Jackson met on 18 May 1999 with Corporal Foday Saybana SANKOH, under the auspices of President Gnassingbe EYADEMA. At that meeting, the question of the peace process for Sierra Leone was discussed. 6. Request the United Nations, subject to the Security Councils authorisation, to deploy military observers as soon as possible to observe compliance by the Government forces (ECOMOG and Civil Defence Forces) and the RUF, including former AFRC forces, with this ceasefire agreement. This agreement is without prejudice to any other agreement or additional protocols which may be discussed during the dialogue between the Government and the RUF. (i) Automatic and semi-automatic rifles, pistols, machine guns and any other small arms weapon systems. (ii) Heavy machine guns and any other heavy weapon systems. (iii) Grenades and rocket-propelled grenade weapon systems. (iv) Artillery, rockets, mortars and any other indirect fire weapon systems. (v) All types of mine, explosive devices and improvised booby traps. (vi) Air Defence weapon systems of any nature. (vii) Any other weapon not included in the above paragraphs. b. Troop movements of any nature outside of the areas recognized as being under the control of respective fighting forces without prior notification to the Cease-fire Monitoring Committee of any movements at least 48 hours in advance. c. The movement of arms and ammunition. To be considered in the context of Security Council Resolution 1171 (1998). d. The construction and/or the improvement of defensive works and positions within respective areas of control, but outside a geographical boundary of 500m from existing similar positions. f. Reconnaissance of any nature outside of respective areas of control. g. Any other offensive or aggressive action. 2. Any training or other military activities not provided for in Articles XIII to XIX of the present Agreement, constitute a cease-fire violation. 3. In the event of a hostile external force threatening the territorial integrity or sovereignty of Sierra Leone, military action may be undertaken by the Sierra Leone Government. The Government of Sierra Leone (GOSL) and the Revolutionary United Front (RUF/SL) have agreed to implement as soon as possible the provision of the Cease-fire Agreement which was signed on 18 May 1999 in Lome, relating to the immediate release of prisoners of war and non-combatants. Both sides reaffirmed the importance of the implementation of this provision in the interest of the furtherance of the talks. They therefore decided that an appropriate Committee is established to handle the release of all prisoners of war and non-combatants. Both the Government of Sierra Leone and the Revolutionary United Front of Sierra Leone decided that such a Committee be established by the UN and chaired by the UN Chief Military Observer in Sierra Leone and comprising representatives of the International Committee of the Red Cross (ICRC), UNICEF and other relevant UN Agencies and NGOs. This Committee should begin its work immediately by contacting both parties to the conflict with a view to effecting the immediate release of these prisoners of war and non-combatants. Reaffirm their respect for international convention, principles and norms, which govern the right of people to receive humanitarian assistance and the effective delivery of such assistance. Reiterate their commitment to the implementation of the Cease-fire Agreement signed by the two parties on 18th May 1999 in Lome. Aware of the fact that the protracted civil strife in Sierra Leone has created a situation whereby the vast majority of Sierra Leoneans in need of humanitarian assistance cannot be reached. 1. That all duly registered humanitarian agencies shall be guaranteed safe and unhindered access to all areas under the control of the respective parties in order that humanitarian assistance can be delivered safely and effectively, in accordance with international conventions, principles and norms govern humanitarian operations. a. guarantee safe access and facilitate the fielding of independent assessment missions by duly registered humanitarian agencies. b. identify, in collaboration with the UN Humanitarian Co-ordinator in Sierra Leone and UNOMSIL, mutually agreed routes (road, air and waterways) by which humanitarian goods and personnel shall be transported to the beneficiaries to provide needed assistance. c. allow duly registered humanitarian agencies to deliver assistance according to needs established through independent assessments. d. guarantee the security of all properties and of and goods transported, stocked or distributed by the duly registered humanitarian agencies, as well as the security of their project areas and beneficiaries. 3. The two parties undertake to establish with immediate effect, and not later than seven days, an Implementation Committee formed by appropriately designated and mandated representatives from the Government of Sierra Leone, the Revolutionary United Front of Sierra Leone, the Civil Society, the NGO community, and the UNOMSIL; and chaired by the United Nations Humanitarian Co-ordinator, in co-ordination with the Special Representative of the Secretary General in Sierra Leone. a. Ascertain and assess the security of proposed routes to be used by the humanitarian agencies, and disseminate information on routes to interested humanitarian agencies. b. Receive and review complaints which may arise in the implementation of this arrangement, in order to re-establish full compliance. 4. The parties agree to set up at various levels in their areas of control, the appropriate and effective administrative and security bodies which will monitor and facilitate the effective delivery of humanitarian assistance in all approved points of delivery, and ensure the security of the personnel, goods and project areas of the humanitarian agencies as well as the safety of the beneficiaries. Request to the international community to provide substantial financial and logistical assistance to facilitate implementation of the Peace Agreement. Request to ECOWAS by the parties for contributions of additional troops.